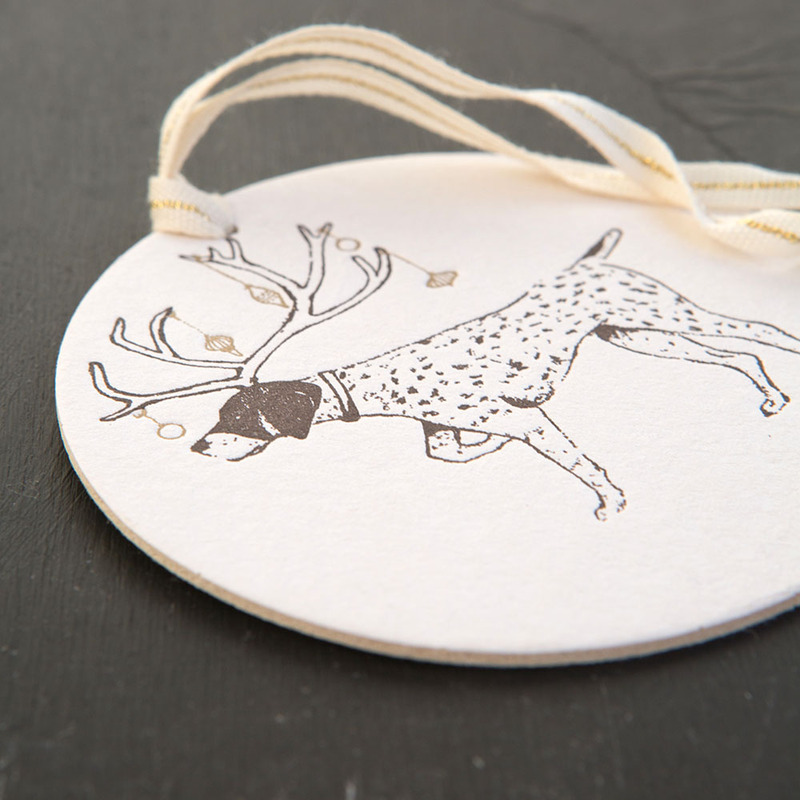 Our Pointer is ready for the Holiday Hunt! Sporting a full rack of antlers adorned with festive ornaments. 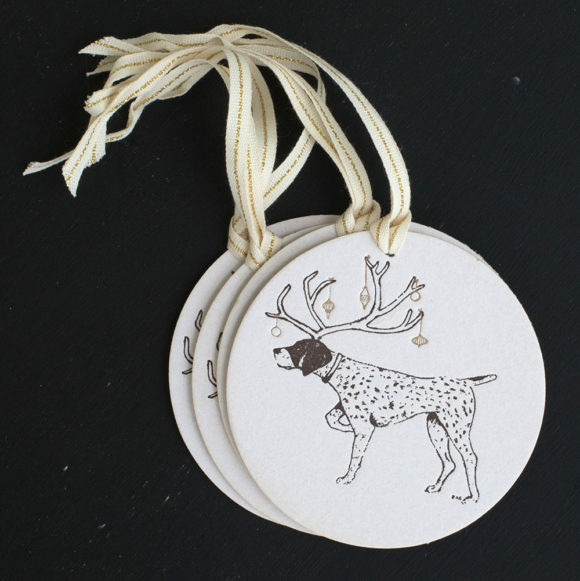 Boxed set of 4 letterpress ornaments. Each printed in Early Gold and Autumn Brown inks on heavy pulp stock. 3.5″ round ornament with accompanying Italian, cotton ribbon threaded with gold. Packaged in a smart, clear box. The perfect Holiday surcie!. Created from original artwork commissioned for Ancesserie. Trim your tree, or your gift. Blank on reverse side. Ancesserie only uses the finest papers available for our letterpress goods. All are eco-friendly. Please allow up to 3 business days to process and ship your order.